This incident stayed with Trifa as he rose to prominence among a group of reform-minded Orthodox clergy in Transylvania, and he became increasingly convinced that both Romania and the Orthodox Church were in desperate need of moral and spiritual renewal. Trifa focused on drinking, smoking, and swearing. He thought these denied the lordship of Christ and amounted to a pact with the devil. But beneath them he saw a more fundamental problem: the lack of a living relationship with Christ through repentance, something he saw in the Protestant missionaries. He began speaking in evangelical terms of the “new birth” as a conversion experience for baptized adults, linking it to the Orthodox sacrament of penance, and founded the “Lord’s Army” (Oastea Domnului) in 1923. Committed to strict rules of living, the army evangelized and fostered Christian fellowship throughout Romania. In 1935 Balan defrocked Trifa and took charge. But this “official” movement lacked popular support and soon died out, leaving Trifa with no official status but a nationwide network of committed believers. When Trifa died in 1938, Balan would not allow him to be buried in priestly vestments. The movement continued under lay direction. Soon (1944) Communists came to power. The Orthodox Church did not recognize the group as a legitimate Orthodox movement. 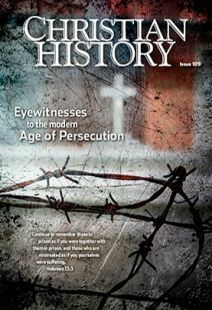 But since the Lord’s Army insisted it was Orthodox and refused to register as a Protestant church, it had no legal protection and became one of Romania’s most persecuted religious groups. Leader Traian Dorz, imprisoned from 1947 to 1964, suffered harassment and restrictions even after his release. Nicolae Moldoveanu (1922–2007), another prominent army poet and the most important Romanian hymn-writer of the twentieth century, was also imprisoned for five years and harassed even in freedom. After the fall of Communism in 1989, the Orthodox Church officially recognized the Lord’s Army as a society within the larger church and belatedly said Trifa should have been buried as a priest. This caused a rift within the army, some welcoming the closer connection to Orthodoxy and others suspicious of it. In some areas, the modern Army meets in churches with the encouragement of the local Orthodox priest; in others, it meets in members’ homes and faces hostility from local clergy. A few members, including Moldoveanu before his death, broke ties entirely with the Orthodox Church.